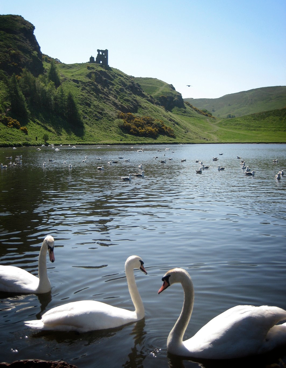 Edinburgh is a major tourist destination receiving more than a million overseas visitors per year. During the International Festival and Fringe the population of the city more than doubles. In short, don’t leave booking your accommodation too late. Two of the great advantages of studying at the Scenehouse are that firstly, you don’t have to relocate your life for a full year, and secondly, we’re based in a city with copious budget accommodation, much of which is friendly and charming. If you wish to go upmarket Edinburgh also has plenty to offer in terms of mid-range chic and full on luxury. Those looking for a well serviced single room at a cheap rate might consider Pollock Halls. These are the University of Edinburgh’s main halls of residence and available to let over the Summer. There are also students halls managed by the private company CRM. Airbnb is a handy website for those looking for a single room in a shared house or family home. Edinburgh has it own Gumtree site with accommodation section. Given the intensity of our courses participants will need their sleep. We suggest avoiding accommodation in the Tollcross and Grassmarket areas of the city which can be fairly lively at night. The Royal Mile presents the same problem but at least there you have the compensation of being right in the heart of the historic old town. To get an overview of the hostel accommodation in Edinburgh check out hostelbookers. Be warned that some hostels will not automatically accept a booking that is longer than a fortnight, and that some automated booking software will tell you that rooms are unavailable because the duration you’ve entered in your search is too long. Try entering the dates as individual weeks and if you see there are rooms available contact the proprietors directly.